Enjoy a flexible hop-on, hop-off sightseeing bus tour that takes you to all the best Sydney landmarks and attractions over 2 different routes. ● You may join the tour at any time from any of the stops on the routes. ● Suitcases (Including carry-on luggage) are not allowed on the bus due to space constraints and passenger safety. 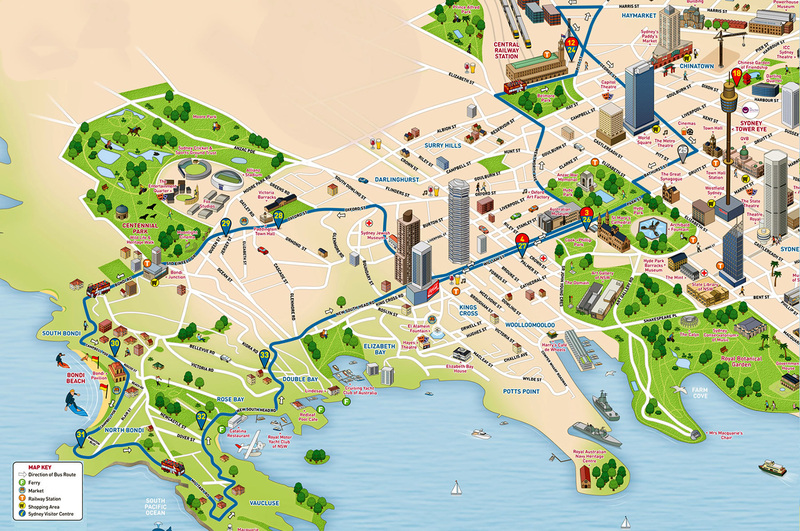 Hop on, hop off - Discover Sydney at your own pace. 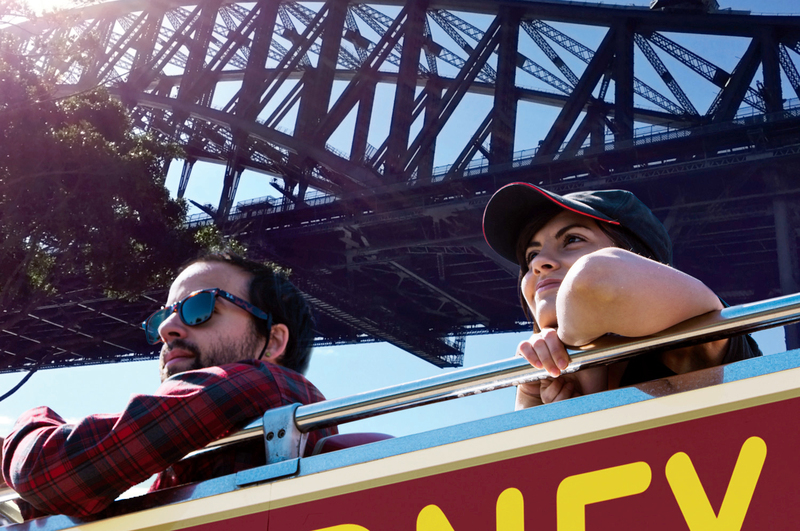 The hop-on, hop-off bus tours give you the freedom to explore the best of Sydney at your own pace. Hop off the tour as many times as you like within the validity period of your ticket, and simply hop on again when you're ready. Alternatively, you are very welcome to remain on board for the entire tour. 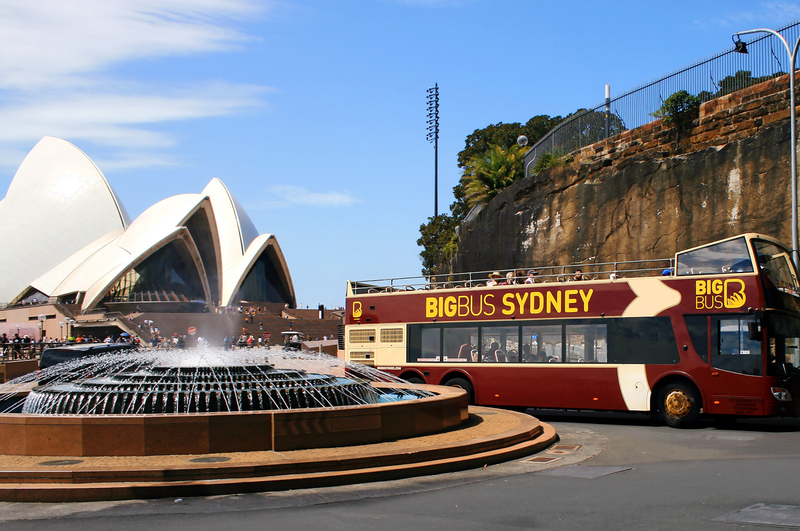 The hop-on, hop-off Sydney bus tours include a commentary that explains the city's rich history, culture, landmarks and surroundings, giving you valuable insight as you explore. Commentary is broadcast in 8 different languages, including English, Spanish, Italian, German, French, Mandarin, Korean, and Japanese, and you can easily tune in with a pair of complimentary headphones, distributed when you board the bus. 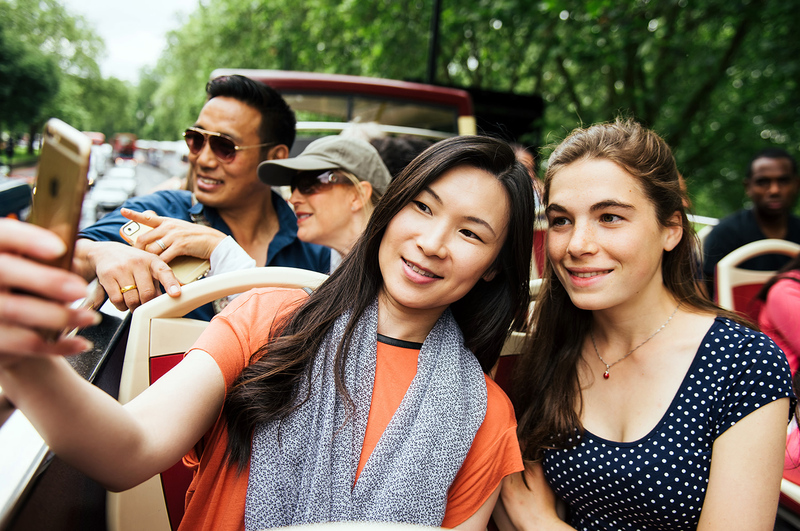 The Classic Bus Tours ticket includes two different tour routes. 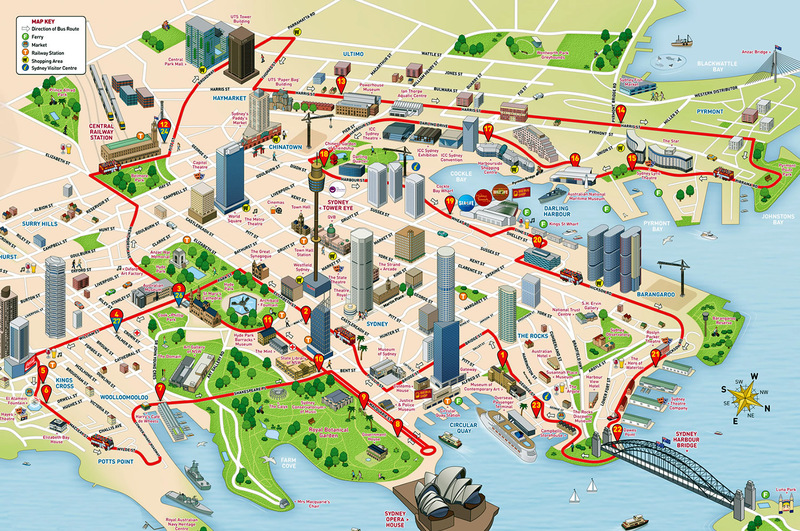 Hop on the City Tour (Red Route) to explore the best of downtown Sydney. Then change to the Bondi Tour (Blue Route) to discover one of the world's most iconic beaches. The City Tour takes approximately 90 minutes in full and features 23 different stops. The Bondi Tour also takes approximately 90 minutes, and encompasses 10 stops. Passengers are free to hop on and hop off at any stop. First Bus: 08:30 from Stop #1: Circular Quay. Last Full-Circuit Tour: 18:00 from Stop #1: Circular Quay. Last Bus: 18:00 from Stop #1: Circular Quay. *Reference Only. Subject to change without notice. The Sydney tour is the perfect introduction to this dynamic city, showcasing the iconic landmarks including the impressive arch of the Sydney Harbour Bridge, the glorious Sydney Opera House and the sparkling waters of Sydney and Darling Harbour. The tour passes bustling shops, restaurants and attractions set amongst Colonial, Victorian and postmodern architecture. 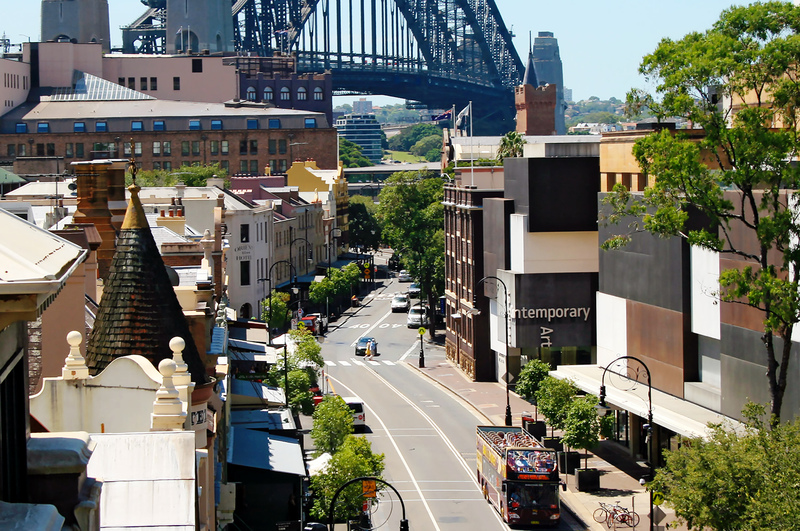 The hop-on, hop-off bus tours give you the freedom to explore the best of Sydney at your own pace. Hop off the tour as many times as you like within the validity period of your ticket, and simply hop on again when you're ready. Alternatively, you are very welcome to remain on board for the entire tour.